Sometimes in life, an experience will change your path. This is the case for Nicole Piela, PT, DPT, Clinical Director, Mays Landing Satellite, who was studying to be an accountant when a sports-related knee injury inspired her to completely change her career path. “I needed to have major surgery to repair my knee, and when I crutched my way into my physical therapy office, I knew right then and there that I wanted to be a physical therapist,” says Nicole. While she studied physical therapy at Stockton University, Nicole completed two clinical affiliations at Bacharach – an inpatient and outpatient setting. 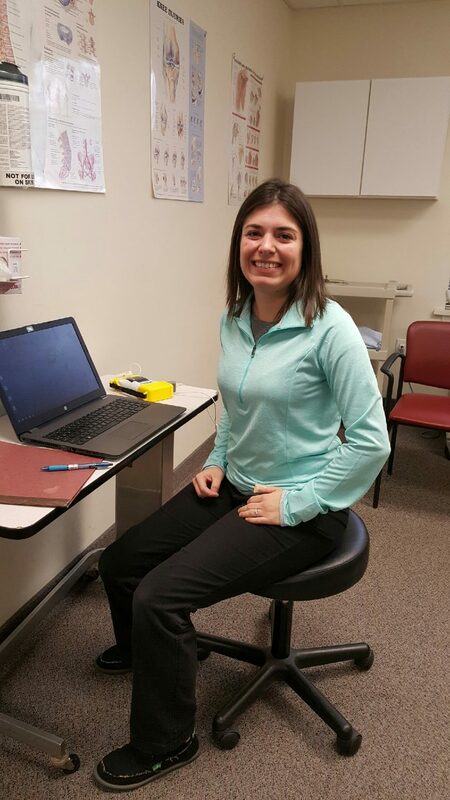 “I fell in love with working in the outpatient setting and especially like working with orthopedic patients – especially those who are recovering from surgery or an athletic injury – because I can relate to them,” says Nicole. Fast-forward 5 years. Nicole has worked at several of Bacharach’s satellite locations before becoming one of the youngest clinical directors in Bacharach’s history just last year. “You always want to be able to progress in your career and this was an exciting step forward for me,” she says. 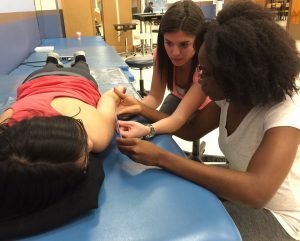 Nicole is also one of the four instructors for Bacharach’s Open Lab – a program that offers current Stockton University physical therapy graduate students the opportunity to come to Bacharach to hone their skills and ask any questions. The Open Lab program also allows Nicole to give back to the Stockton University’s physical therapy graduate program, which helped launch her career.